5 Reasons Small Business Owners Can’t Miss the National Small Business Summit in D.C.
Home / Above the Fold / 5 Reasons Small Business Owners Can’t Miss the National Small Business Summit in D.C.
America’s 28 million small businesses account for 67% of new jobs and more than 50% of the nation’s economic output. Small businesses are the backbone of our economy and the U.S. Chamber champions the critical role they play in their local communities and is committed to helping unlock their potential for growth. That’s why we’re bringing hundreds of powerful and insightful small businesses together to learn, collaborate, and be inspired – and we hope you’ll join us. Whether this will be your first National Small Business Summit or your 13th, here are five reasons you won’t want to miss this year’s event at the Omni Shoreham in Washington, D.C., September 10-13. This year brings an all new format and revamped agenda! The Summit features a 3-day, conference experience including mainstage keynotes and panels, interactive master classes, “TED Talk”-style breakouts, one-on-one mentoring sessions, peer-to-peer networking opportunities, and D.C. excursions. Plus, we’re still including some old favorites like the rooftop photo op at the U.S. Chamber of Commerce. With the White House as a backdrop, our professional photographer will provide you with a memorable D.C. souvenir. To review the 2017 agenda by day, please take a look at the schedule. We will be sharing speaker updates over the coming weeks. To learn more, please visit our speakers page. This year we’ve also redesigned the onsite vendor experience, newly branded as the Small Biz Solutions Marketplace. This engaging vendor space will feature top companies, such as MetLife, T-Mobile, Square, United Airlines, American Express, and more, offering cutting-edge business solutions and technology designed to grow small businesses. Companies will host live demonstrations, giveaways, and raffle prize contests to help attendees learn more about these great resources. The Small Biz Solutions Marketplace, open Monday, September 11 and Tuesday, September 12, provides dynamic networking opportunities with fellow business owners, entrepreneurs, and top business experts. Cut through all the noise in D.C. and make your voice heard! It couldn’t be easier, with the US Chamber’s platform to unite and amplify the voices of small businesses from across the country. 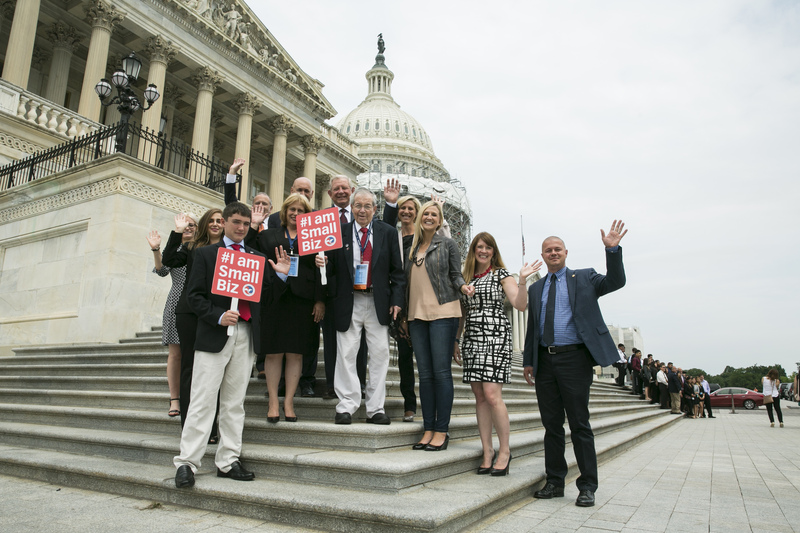 The Main Street Ambassadors program is a grassroots initiative designed to help small business owners advocate their legislative priorities on Capitol Hill. This year, we’re giving the program a face lift to include more interaction with Members of Congress and a session on best practices before heading to Capitol Hill. The program will run from 7:00 AM – 12:00 PM on Wednesday, September 13. We will host a special, welcome reception for participants on Monday, September 11. Take advantage of these valuable resources and join the hundreds of businesses and local chamber executives that are coming together to advocate for pro-business policies. It’s your business and your vote – make your voice heard. We are so excited about this year’s Dream Big Small Business of the Year Awards program. The Dream Big Small Business of the Year Awards program honors the achievements of small businesses and highlights their contributions to America’s economic growth. After receiving a record number of applications, we have identified our 18 finalists for the 2017 Dream Big Small Business of the Year Award, the five Business Achievement Awards, and the Community Excellence Award. The live, awards ceremony will take place on Tuesday, September 12 from 6:00 – 9:00 PM during the Dream Big Awards Celebration. The program will not only feature our small business awards presentations, but will also include a banquet dinner, live entertainment, and dancing. Together, we will celebrate all of our Summit attendees and their meaningful contributions to the small business community. It will definitely be a night to remember! Oh, and No. 6 (BONUS! ): If you register before August 18 you’ll receive 25% off your registration fee. Click here to REGISTER now. Bridgett Hebert is the director for strategic communications at the U.S. Chamber of Commerce. The Strategic Communications team works with our partners throughout the organization to plan and execute comprehensive branding and communications initiatives.